I like to think of myself as a good cook but I very rarely bake. I make the odd pie now and then but I've never made a cake. 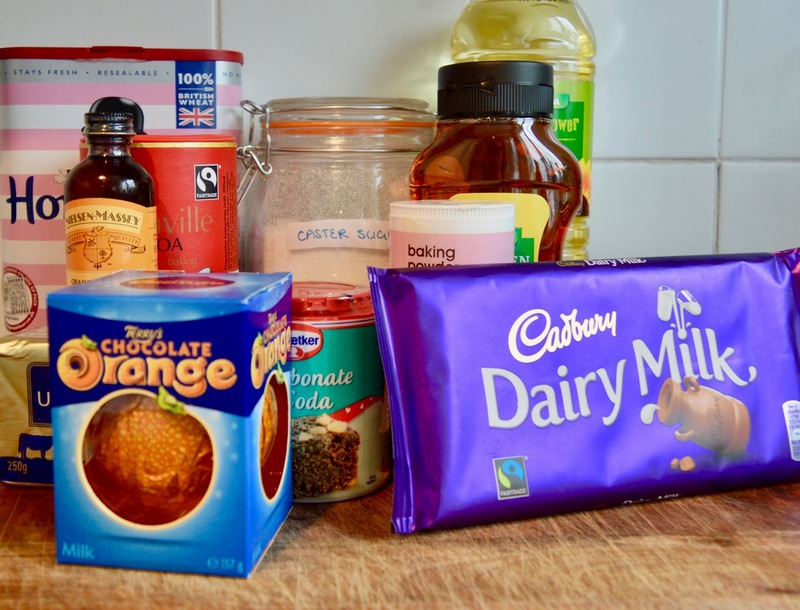 With the return of Great British Bake Off, I really like the new series by the way (anything with Noel Fielding is a winner for me), I decided to challenge myself to bake a cake and I roped the kids in to help. I scoured our many cook books to find some inspiration and settled on Death by Chocolate Cake from Mary Berry's Baking Bible. I didn't follow the recipe exactly as I wanted to put my own spin on it. Start by pre-heating your oven to 160°C (140°C Fan). 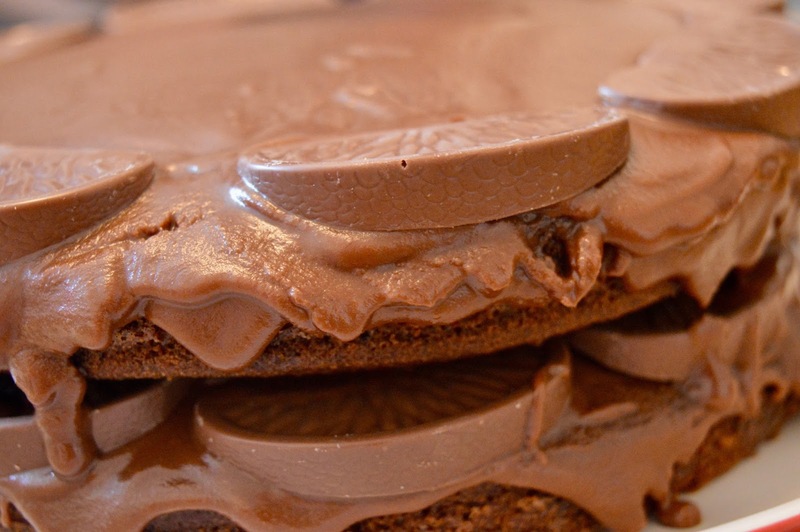 Grease two 20cm cake tins with butter and line the bottom with greaseproof paper. 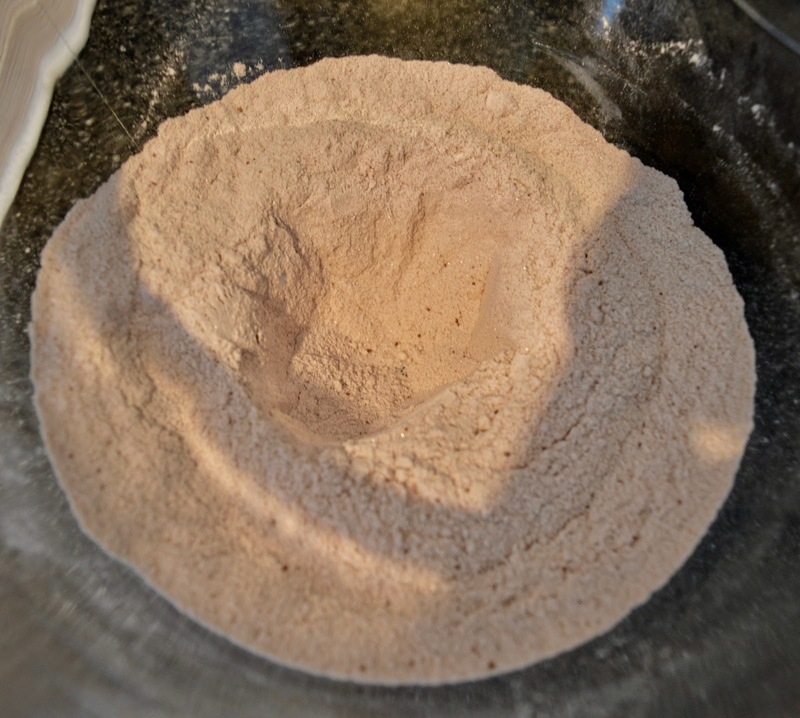 Sift the flour, cocoa powder, bicarbonate of soda and baking powder into a mixing bowl and then add the caster sugar. 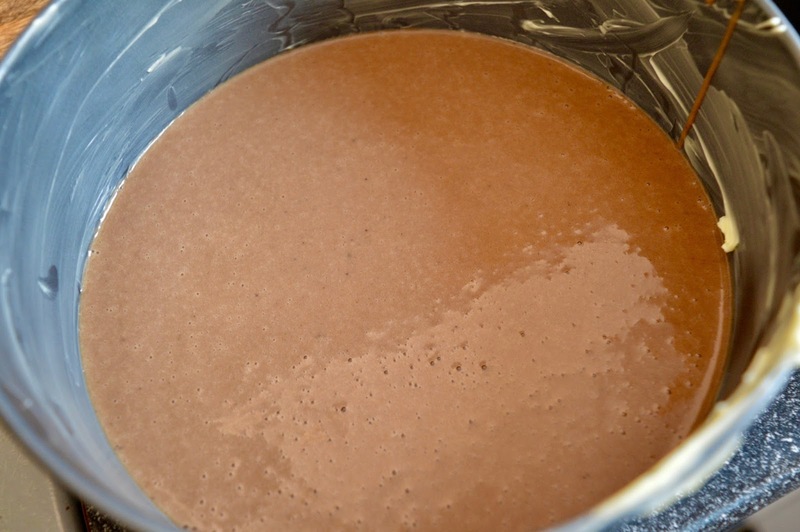 Make a well in the dry ingredients and add the golden syrup, milk, oil and eggs then mix until smooth. Mary Berry says to mix with a wooden spoon but that seemed like a right faff. 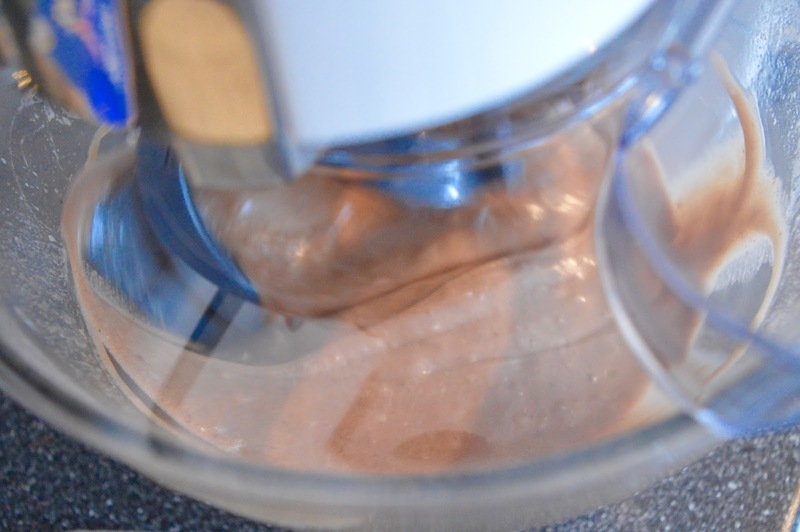 I have a food mixer and it only took a couple of minutes using a silicone creaming beater, it worked a treat and saved a lot of hard work (I'm all about skipping hard work). 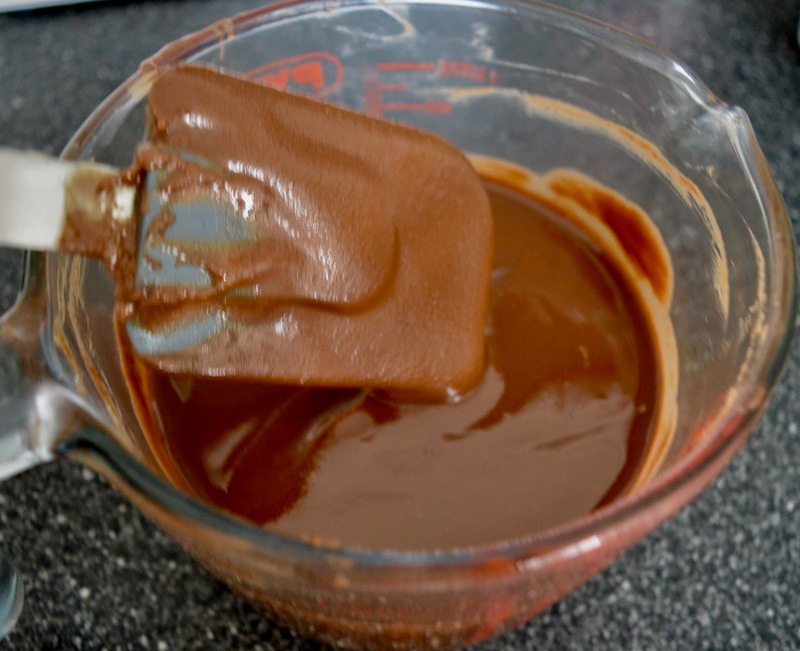 Pour the cake mix evenly between the 2 cake tins and bake for 35 minutes or until you can insert a wooden skewer into the centre of the cake and it comes out clean. Turn out the cakes and leave to cool on a wire rack while you make the icing. 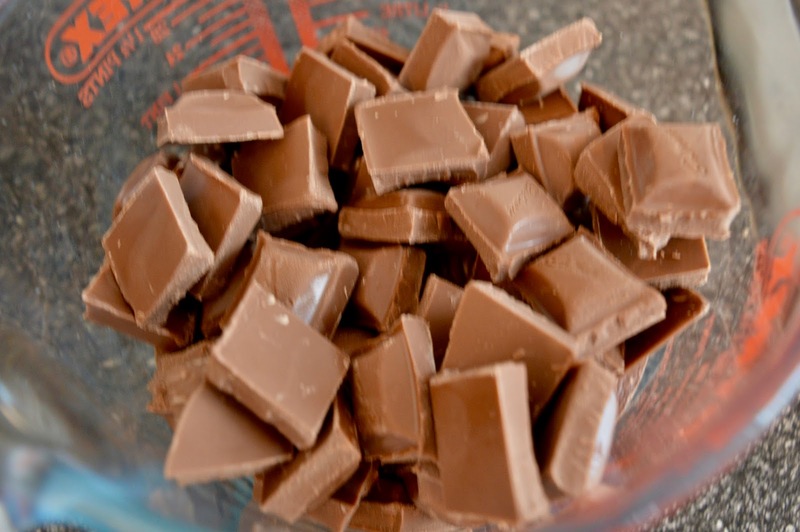 Melt the chocolate, Mary Berry says to break the chocolate into pieces and put into a heatproof bowl over a pan of simmering water, again I found a shortcut by putting the chunks of chocolate into a Pyrex jug and microwaving it for 20 seconds at a time until it was melted. 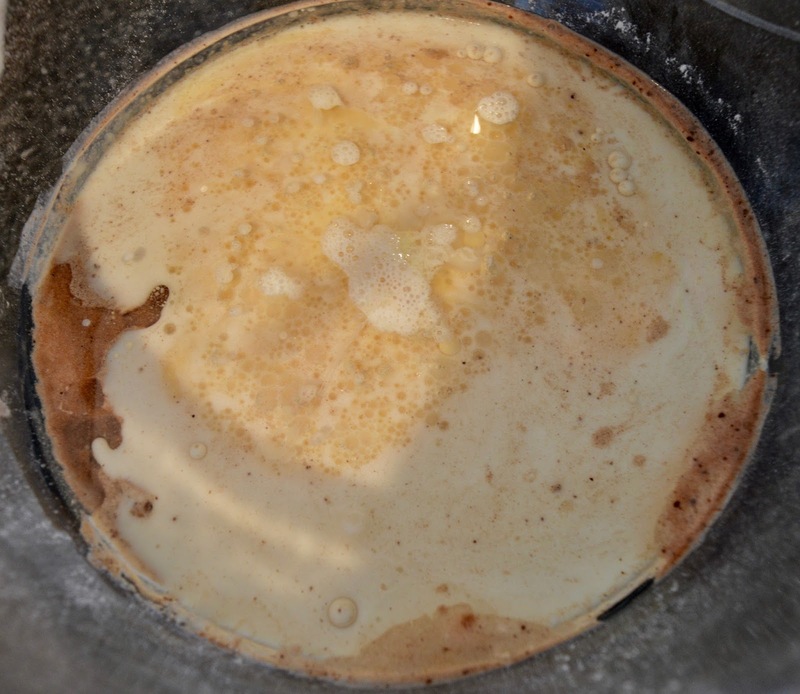 Once the chunks are all melted add the butter and stir until it's all mixed. Once the cakes are cool, pour a third of the icing onto the first cake and spread it evenly. 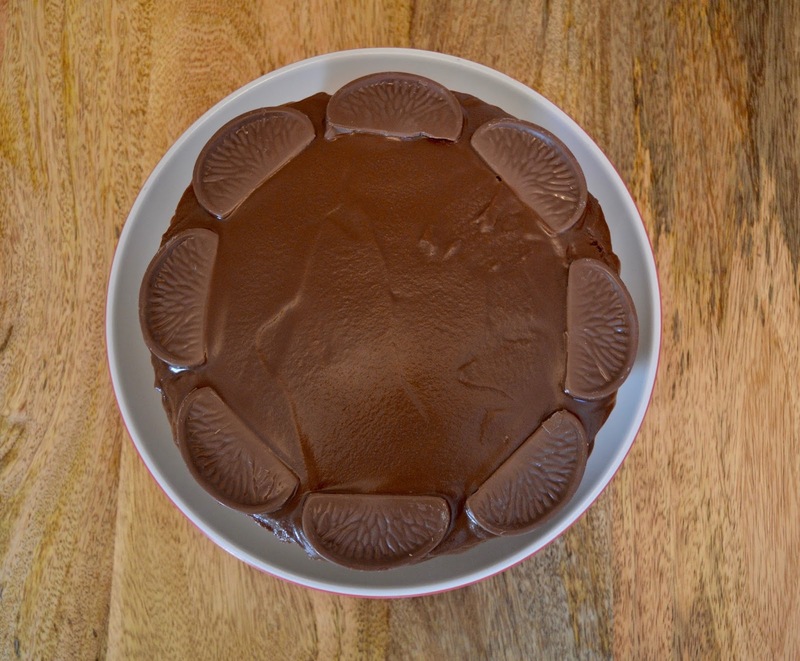 Add half the Chocolate Orange segments around the edge to decorate. 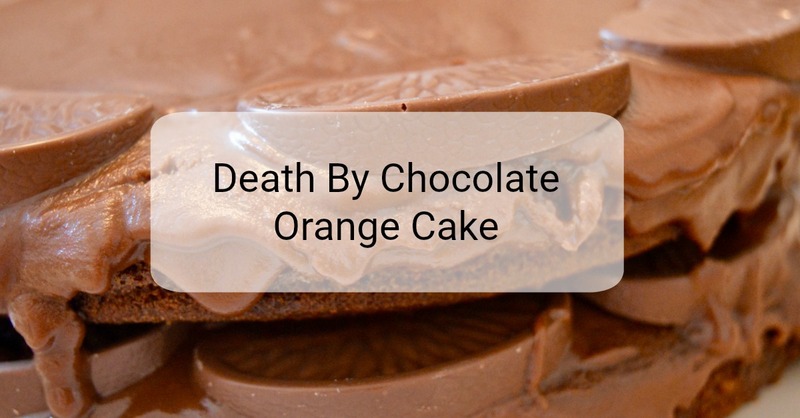 Place the second cake on top and then pour the remaining icing on top and smooth it over the top and sides with a palette knife (I was a bit rubbish at the sides but it was still ok) then add the remaining Chocolate Orange segments around the edge. Baking a cake was a lot easier than I was expecting it to be so I think I'll be trying a few more in the future. Love this! It looks incredible! Oh my God, that looks amazing, I'm drooling here! 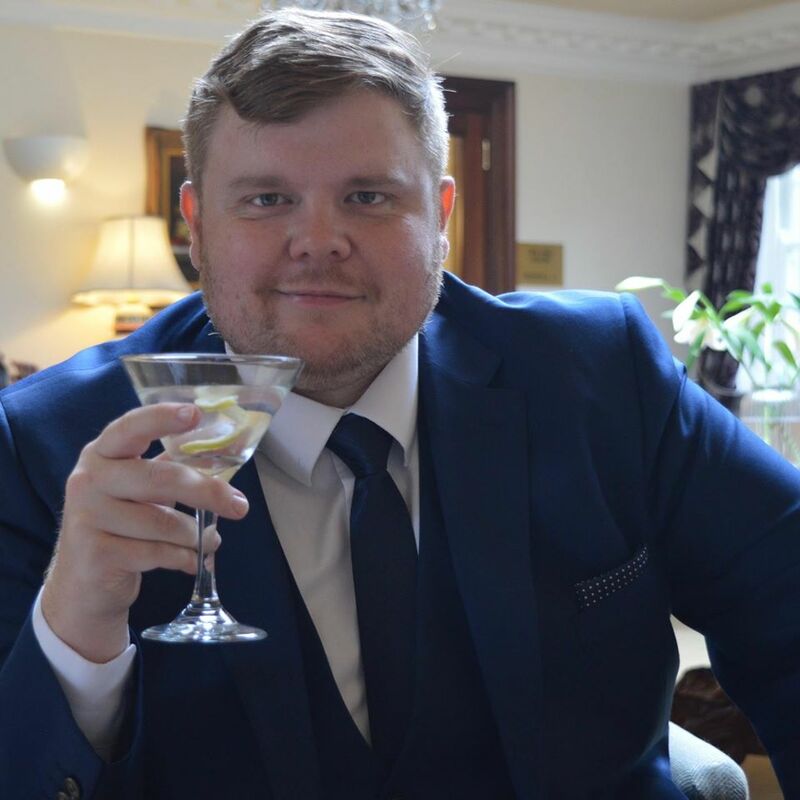 Great to see your foodie blog posts back! That looks amazing! !